The 2018 TCS New York City Marathon is Sunday, and, as usual, there will be some studly international runners and a deep American field lined up on the Verrazano-Narrows Bridge on Sunday morning. This year’s men’s race is really two races: the battle for the win, and the battle for top American honors as let’s be honest, no American male marathoner not named Galen Rupp has a prayer of winning a major right now and Rupp has never run NY. In terms of the win, one of these five men will win this race – defending champ Geoffrey Kamworor of Kenya, 2017 Dubai champ Tamirat Tola of Ethiopia and 2017 London champ Daniel Wanjiru of Kenya. Two-time Boston champ Lelisa Desisa (who was 2nd in NYC in ’14 and 3rd in ’15 and ’17) is also entered, as is the intriguing Shura Kitata, who is coming off a 2:04:49 pb in London, where he finished second behind the great Eliud Kipchoge. Behind them, there is a hungry American field that includes Shadrack Biwott (3rd in Boston in April), Chris Derrick (running his second marathon after a 2:12 debut last year in Chicago), NAZ Elite teammates Scott Fauble & Scott Smith, and 2016 Olympian Jared Ward, but perhaps it says a lot about the current state of US men’s marathoning that two of the top American entrants are over the age of 40. 41-year old Abdi Abdirahman, who was the top American in 7th last year, returns and 43-year Bernard Lagat, the US record holder at 1500, will make an intriguing debut this weekend. We break down the international men’s field in detail below and tell you what to look for in New York this week. When: Sunday, November 4. Elite women start at 9:20 a.m. ET, elite men start 9:50. (Remember, US clocks have to be moved back one hour on Saturday night). How to watch: The race will be broadcast nationally on ESPN2, with coverage beginning at 9 a.m. ET. You can also stream the race online through WatchESPN. Locally, the race will also be shown on ABC7. Bernard Lagat USA Debut At 43, and topping out around 75 mpw, how fast can he run? Alphonce Simbu TAN 2:09:10 5th at the Olympics, 3rd at Worlds in ’17. NYC should suit him. If you’ve read any of LetsRun’s major marathon previews, you know that there’s a stat we like to use when trying to determine the contenders: since the start of 2013, 38 of the 39 World Marathon Major winners have had a PR under 2:08 or a global medal in the marathon. Applying that to the 2018 New York field, that leaves seven men as potential winners: Lelisa Desisa, Geoffrey Kamworor, Shura Kitata, Alphonce Simbu, Festus Talam, Tamirat Tola, and Daniel Wanjiru. Let’s take a look at them. We’ll have more on Kamworor once we talk to him and his coach Patrick Sang in New York, but assuming all has gone well in his buildup, he will be very tough to beat. In his two previous NYC Marathons, he ran a very strong second in 2015 and won the race in 2017. He looked exceptional in his last major race in March, using a ridiculous (albeit wind-aided) 13:01 5k from 15k to 20k to win his third straight World Half Marathon title by 20 seconds in Valencia. With its bridges and hilly finish in Central Park, NYC can be tough to master, but Kamworor, who has won the last two world cross country titles, is made for the rhythm-less New York course. 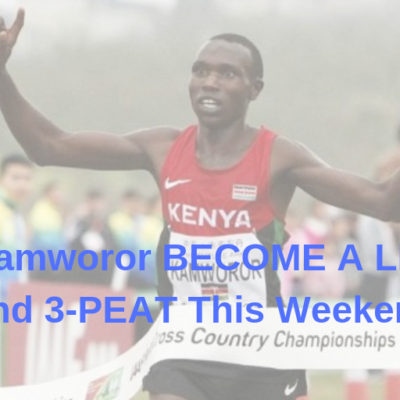 The most versatile distance runner on the planet, Kamworor can pretty much handle whatever is thrown his way. 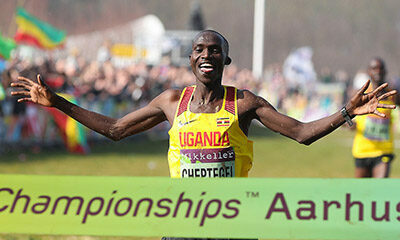 He’s won in the cold rain of Cardiff and the heat and humidity of Kampala. He’s won by pushing the pace on the hills of Guiyang and staying patient before unleashing a deadly kick in on a pancake flat course in Valencia. He is equipped to handle any sort of race on any surface; whatever the competition throws at him in New York, he’ll be ready for it. 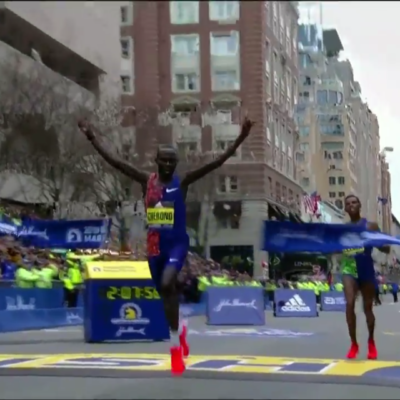 Until last year, the knock on Kamworor was that he hadn’t won a marathon. He changed that narrative by breaking the tape in New York, and we can’t wait to see what he does next. This race has enough talent at the top that Kamworor should be pushed for the win, but we’d love to see what Kamworor is capable of on this course if he goes for it from the gun, as conditions look as if they’ll be close to perfect (high of 57 degrees, 5 mph winds on Sunday, per Weather.com). Kamworor’s PR is “only” 2:06:12, but that is misleading as it dates back to his first marathon at age 19 in 2012. He’s only run two marathons in the last three years, and both were in NYC, where place, not time, has been the priority. We’re not saying he’ll break Geoffrey Mutai‘s 2:05:06 course record — one of the greatest runs in the history of marathoning — but it would be a shock to see Kamworor in the 2:06 or 2:07 range if he decides to run aggressively on Sunday. In the history of the New York Marathon, only two Ethiopian men have won the NYC Marathon — Tesfaye Jifar won the only marathon of his career in NY in 2001 and Gebre Gebremariam (himself like Kamworor a former world xc champ) won the only marathon of his career in NY in 2010. These three men could change that. 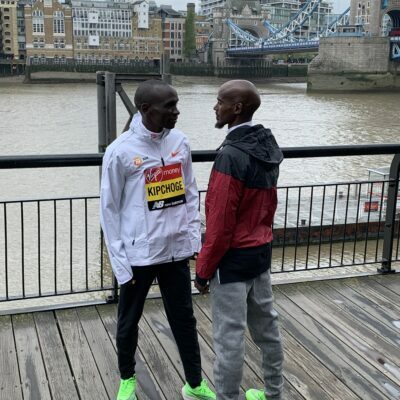 New York is a different race than the fast courses in Frankfurt and London, but anyone who can go out in 61:00 and hang with Kipchoge through 23 miles clearly has the fitness to contend for the win. Kitata is still only 22 years old (officially) so it’s possible he is still improving, and he’s clearly fit right now as his half marathon in Philly showed. Kitata-Kamworor in the final miles could be a duel to rival Kipsang-Desisa in 2014. If you throw out his DNF in Boston in April — and we will, because 63% of the elite men dropped out due to the weather — Tola’s last four races have been spectacular. His hot streak began with a course record in Dubai in January 2017 (2:04:11), and he followed that up with a dominant half marathon win in Prague (59:37, where he beat a field including Rupp by over a minute), a silver in the marathon at Worlds, and a PR of 2:04:06 to finish third in Dubai this year (just six seconds behind the winner). Tola is a big-time talent — remember, he also earned silver in the 10,000 at the Olympics in 2016 — and though he hasn’t won a World Marathon Major yet, it seems only a matter of time until he does. When he’s on his game, Desisa can contend with the very best in the world as he’s racked up seven top-three finishes in majors (including three in New York). In fact, in 10 career marathon finishes, he’s only finished outside of the top three once (he was 7th at the 2015 Worlds in Beijing). The key word there, however, is finished. Desisa is a boom-or-bust runner as he also has three DNFs on his resume and struggled badly in last year’s Breaking2 in 2:14:10. In Desisa’s defense, one of those DNFs came in Boston this year, and he never should have been on the start line in Breaking2 as he was clearly nowhere near fit enough to challenge 2:00:00. Should he stick it out to the end, he’ll contend for the win, but his blowup potential is the highest in the men’s field. Given the fact that he broke 60:00 for the half less than 2 months ago, and that he’s been top 3 in NY the three times he’s run it, we’d be very surprised if he wasn’t a contender here. Note: Initialy, given his inconsistencies, we were going to put Desisa in the next category of “Outside chances to win” and only have two men – Tola and Kitata as potential top notch challengers to Kamworor – but we thought about it and moved him up here. Wanjiru was one of the hottest marathoners on the planet 18 months ago, following up a course record at the Amsterdam Marathon with a win in London (the one year in the last four that Kipchoge didn’t run London). But since then, his results have fallen off. He was 8th at Worlds in August 2017 and totally cratered in London this spring: after running his first half in 61:01, he slowed to 69:34 for his second to finish 8th. His results since then have inspired little optimism: he ran 29:29 for a road 10k in the Netherlands in June and 63:40 at the Great North Run in September. He has the talent to contend for the win in New York, but based on what he’s done since London 2017, it would be a surprise if he does. Talam has run well in paced races — two straight wins in Eindhoven, and a 4th in Rotterdam last year (all in 2:07:10 or faster), but struggled on the tough Honolulu course in his most recent marathon in December. New York, his World Marathon Major debut, represents an even tougher challenge. 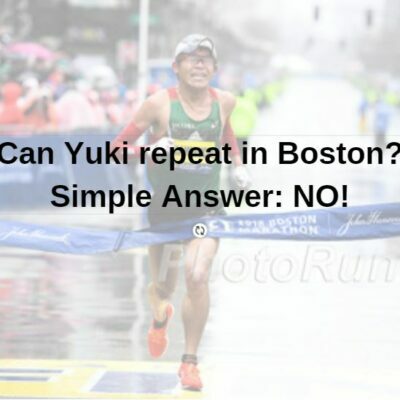 Given the fact that he didn’t run a spring marathon, that his best finish this year in any race is sixth in a half-marathon in the Czech Republic in June in 61:35, and that his half marathon pb is ‘just’ 60:56, we don’t see how he wins on Sunday. Though his 2:09 pb is slow for a potential major champion, he has done well in championship-style races, placing 5th at the Olympics and 3rd at Worlds. However, the fact that he hasn’t raced all year makes us nervous as he ran three marathons in 2017. Simbu hasn’t raced since August 2017 when he took the bronze at Worlds. Who will win the 2018 NYC Marathon? LRC Prediction: We’ll wait until after the press conferences later this week to make our pick.